The Majority of Indonesia’s people are of malay stock ( similar the Philippines ), Historically,the malay people split into dozens of smaller subgroups,dispersing throughout the archipelago in widely varying family structures and language groups. 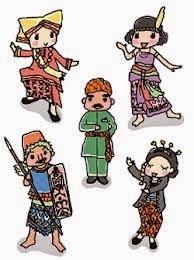 It makes Indonesia consists of hundreads different ethnic groups with their own languages and dialets and traditional life style , Some of them are Bataks in North Sumatra, Minangs in west Sumatra, Javanese in Central and East Java,Dayaks in Kalimatan , Torajans in South Sulawesi and Papuanns in Irian Jaya. The most numerous and culturally influential with in Indonesia today are the Javanese , In habitat of Central Java. But equally enduring cultural traditions are to be found among the Sundanese of West Java , the Minahasan People of Nort Sulawesi, and of course, the people of Bali, farmed for their changeless way.